Drama school student Andy Spearpoint turned up to audition for the remnants of rock punk outfit ‘Phariah’ on his bike. 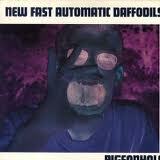 That day in Manchester 1988 he was met by three former Poly students, Justin Crawford (bass), Dolan Hewison (guitar) and Perry Saunders (drums), and history records that the New Fast Automatic Daffodils had found their singer. Matching lyrics dripped in history, aesthetics and philosophy, Spearpoint overlaid his spoken word style above the fast guitar rhythms that differentiated the band from the Madchester scene surrounding them. 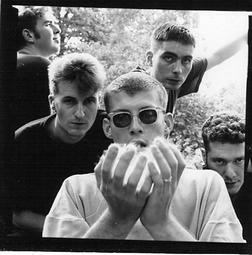 Icarus Wilson-Wright completed the line-up in 1989 on percussion and, soon after, the band’s first single ‘Lions’ was released on Playtime Records (also home to the Inspiral Carpets). A move to Play It Again Sam Records in 1990 saw the band complete their debut album ‘Pigeonhole’ in November of that year (the album went on to break into the top 50 in the UK charts) before the New Fast Automatic Daffodils embarked upon two long years of touring, in the process being supported by the likes of Blur and Pulp. 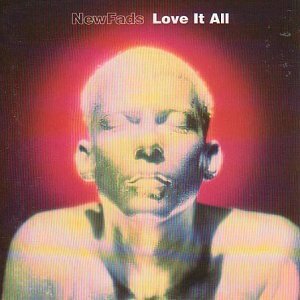 Follow up album ‘Body Exit Mind’ was released in October 1992 (reaching number 57 in the charts) and the touring continued unabated before the New FADS (renamed since 1994) released their final studio album ‘Love It All’ in 1995. In 1990 the band’s single ‘Big’ made it to number 14 in John Peel’s Festive Fifty.